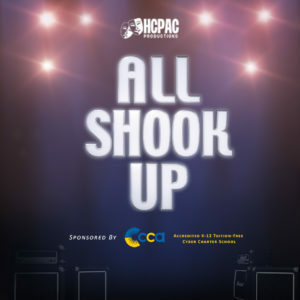 Dress Rehearsal Night Dinners: All Shook Up Rehearsal Dinners are just $6 each and not only provide a quick nutritious dinner with your All Shook Up family, but also serve as a fundraiser for HCPAC, helping us to keep our participation fees low. So instead of running through the local fast food restaurant’s drive thru, why not support HCPAC by purchasing rehearsal dinners? ← Passion Play 2019: CAST ANNOUNCEMENT!